Solar panels and balloons stock photo from palidachan/Shutterstock. 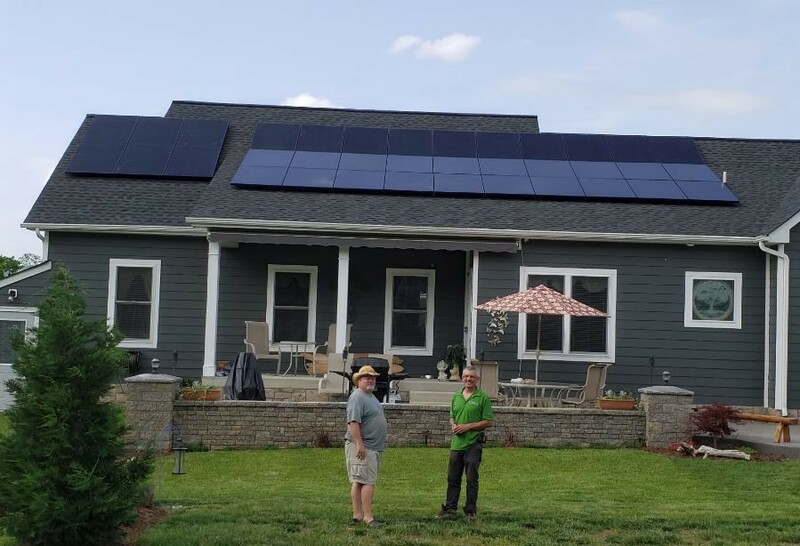 If a homeowner wants to put solar panels on a roof facing a street, is that a laudable step toward fighting climate change or an affront to historic preservation? With a recent preservation board ruling, DC's historic preservation system took one very small step toward tolerance of visible solar panels, at least in some cases. The Historic Preservation Review Board, made up of architects and historians and other citizens which reviews preservation cases, authorized solar panels on the front roof of a house in the Takoma neighborhood. 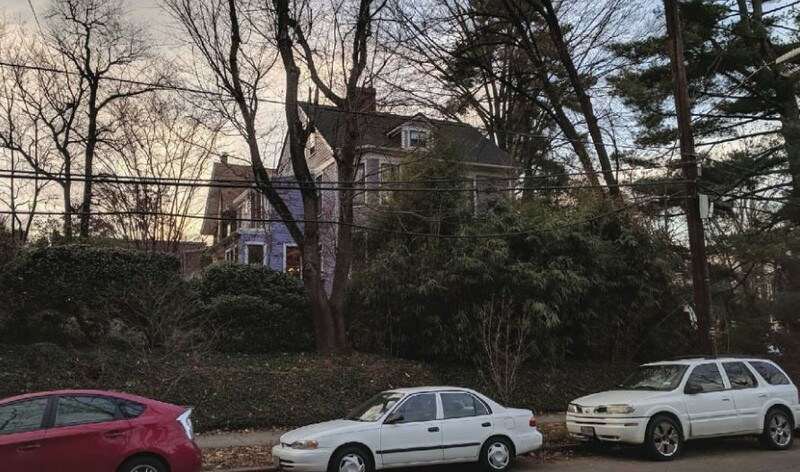 In a vote that member Andrew Aurbach called “precedent-setting,” the board overrode the preservation staff recommendation, which argued for allowing panels on another side of the house but not on the side facing the street. The Board has applied several standards for solar panel installations. For flat roofed buildings, the standard is relatively simple: panels should not project above or interrupt the building’s roofline as seen from public streets. For sloped roofs, the standards include: limiting installations to secondary (nonstreet-facing) elevations, retention of character-defining roof features and finishes, not projecting panels above the roof ridge, installing panels tight to the roof slope to minimize their profile, and ensuring that the panels are not prominently visible from public street views. If the underlying roof is scheduled to be replaced prior to installation, replacement roof materials that are similar to the coloration of the panels has been encouraged to minimize the contrast of the panels with the roof. In other words, definitely not in the front of the house, probably not the side either, and ideally not even on the main roof of the house at all. The earlier guide also told homeowners not to put green roofs or rain barrels where they could be seen from the street either. This came under criticism, including here, for sounding callous toward the realities of climate change. Some pointed out that none of these green features permanently removes any historic fabric from the building, but simply places things on top which can be removed later. Plus, the law already allows homeowners to put some things like storm windows, gutters, awnings, or antennas on a house without historic review (though, perhaps, not by the preservation office's choice). 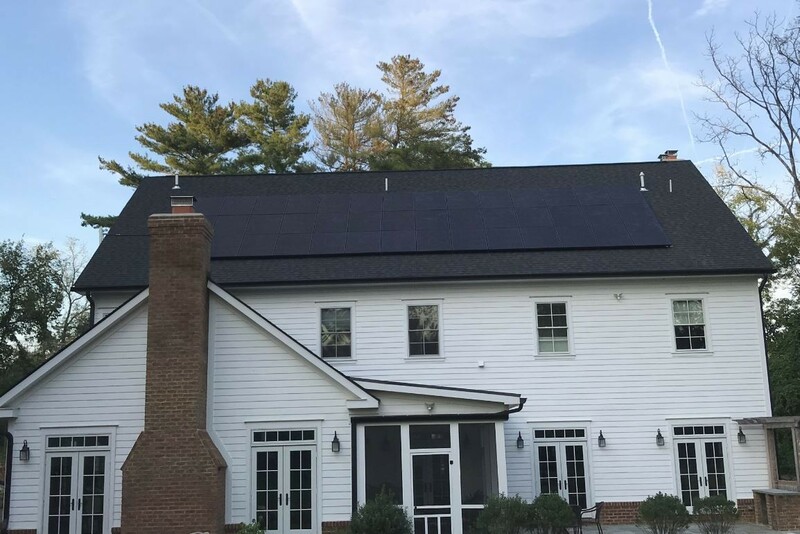 The preservation office apparently softened that language between June 2018 and January 2019, since the Takoma staff report simply frowns upon the solar panels being in the immediate front of the house (and to minimize their appearance in other ways). Photo of the house from the HPRB filing. Installation of solar panels reduces demand for conventionally generated electric power, thereby reducing environmentally damaging carbon emissions which are aggravating climate change. If we don't preserve our planet against the catastrophic impact of climate change, we won't be able to historically preserve anything. The preservation board agreed, with only architect Outerbridge Horsey opposed. This is a shift even from last fall, when the same ANC deadlocked 3-3 on another solar installation proposal in September, according to neighborhood blog DC North Star, and the HPRB approved panels on secondary roofs but not the primary street-facing one. The original guidelines from last year are no longer on the preservation office website; the link from the announcement has at some point been altered retroactively to point to a new version of the guidelines. The relevant solar provisions have changed greatly from the initial version, but still match the staff report recommendation, saying, “For buildings with sloped roofs, locate solar installations on secondary elevations to minimize their visibility from public street view, away from roof edges and ridges.” Perhaps that needs to change again, in light of the latest vote. Example of roof-colored solar panels from the HPRB filing. Pfaehler and Crane also made clear that the fact that these panels will be flush with the roof, that the building is relatively tall, and the color similarity were all really significant in making this case different from other cases where HPRB has denied visible solar panels; they drew a distinction between panels that are visible but not very much so, versus other solar installations that are less subtle. Board member Chris Landis said his office looks right on this building, and he knows it will be unobtrusive. So while the preservation board and office still make clear that they won't bend very far to help avert climate change, homeowners in DC historic districts may now have the opportunity to place panels on front sloped roofs, as long as they are willing to spend the time and money to design the most unobtrusive solar installations possible. It's a good step forward, but I have to agree with Jon Stewart that these baby steps are not enough, and the preservation office and board's priorities still out of whack. The simplest answer is what Aurbach suggested, to simply classify solar panels like antennas and storm windows and place them outside the preservation realm. That may take an action of the DC Council, however, if the staff and board are unwilling to limit their own power even for the sake of future generations.